Agnes Rubina Mortlock Oxlade was born on 23 March 1851 in North Adelaide, South Australia , daughter of Hector Oxlade and Ellen Finch. Thomas was also known as George Oxley.1 He was born on 8 October 1856 in Bowden, South Australia , son of Hector Oxlade and Ellen Finch. He used the name OXLEY on marriage records and some birth records. [S3] Marriage Registrations, South Australian Marriages 1842-1916, 109/292. [S64] Sands & McDougall, SA Directories. Eleanor Oxlade was born on 3 December 1858 in Bowden, South Australia , daughter of Hector Oxlade and Ellen Finch. She died on Friday, 17 December 1858, aged 14 days, in Hindmarsh, South Australia . Alfred Oxlade was born on 20 May 1860 in Hindmarsh, South Australia , son of Hector Oxlade and Ellen Finch. He died on Tuesday, 5 June 1860, aged 16 days, in Hindmarsh, South Australia . 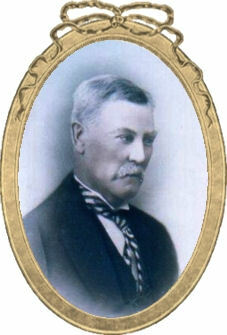 William Charles Oxlade was born on 24 May 1861 in Hindmarsh, South Australia , son of Hector Oxlade and Ellen Finch. On 29 January 1881, William, aged 19, married Catherine Mary Wilkins, aged 16, daughter of Jubal Wilkins and Mary Beary, in Hindmarsh Registry Office in Hindmarsh, South Australia . William was buried on 10 May 1933 in the Cheltenham Cemetery, Cheltenham, South Australia , Section D, Drive: B, Path (#): 7(18), Site Number: 30. Emily Oxlade was born on 4 October 1863 in Hindmarsh, South Australia , daughter of Hector Oxlade and Ellen Finch. She died on Monday, 23 May 1864, aged 7 months and 19 days, in Bowden, South Australia . [S53] Unknown name of person unknown record type, unknown repository, unknown repository address. Arthur Oxlade was born on 30 September 1865 in Hindmarsh, South Australia , son of Hector Oxlade and Ellen Finch. He died on Friday, 6 October 1865, aged 6 days, in Hindmarsh, South Australia . Martha Oxlade was born on 1 December 1866 in Hindmarsh, South Australia , daughter of Hector Oxlade and Ellen Finch. She died on Friday, 14 December 1866, aged 13 days, in Hindmarsh, South Australia . Daniel McGrath was born about 1822. About 1864, Daniel, married Ann Oxlade, daughter of Hector Oxlade and Ellen Finch. Alfred William McGrath was born on 28 February 1865 in Bowden, South Australia , son of Daniel McGrath and Ann Oxlade. Alfred and Matilda Jane Lattin were partners in about 1900.